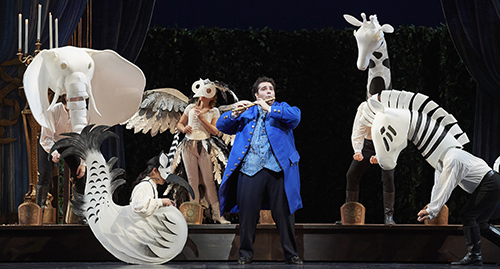 This season marks the 65th anniversary of the COC's very first presentation of The Magic Flute. 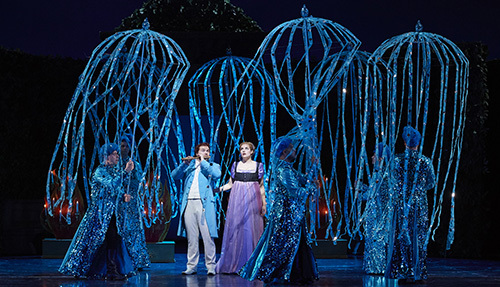 Since 1952, the COC has presented at least seven productions of Mozart's final and most popular opera, including an exclusive Ensemble Studio production and a school tour adaptation for young people. 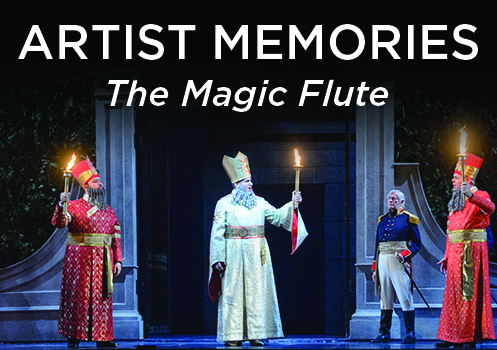 Join us for a trip down memory lane as we revisit some of the COC's most memorable Magic Flute moments. Get to Know Andrew Haji! Tenor Andrew Haji is certainly keeping himself busy at the COC lately. As if playing the role of Tamino in our current production of The Magic Flute was not enough, Andrew is also performing a recital of love songs on February 14 as a part of the Free Concert Series, returning this spring to sing Gabriel Dumont in Louis Riel, and preparing for the role of Nemorino in our production of The Elixir of Love next season! Why not get to know a little more about this former Ensemble Studio member who is becoming one of Canada's great opera singers? Our production of The Magic Flute has officially begun, so we asked some of the opera's stars to tell us about their memories of this masterpiece.